Tivoli Cinemas understood the value of anticipation. Movies don’t start when the opening credits roll. Movies start with the trailer, a tease of what’s to come. And for thousands of Kansas Citians, the Tivoli starts at the bottom of that steep staircase. It starts with a conversation about what’s playing, one hand on the long red rail. At the top of the stairs, one catches the first glimpse of the lobby under the slight hum of neon lights. The concession stand to the left beckons with the smell of popcorn. But Kansas City isn’t just losing a movie house. We’re losing a home for filmmakers. 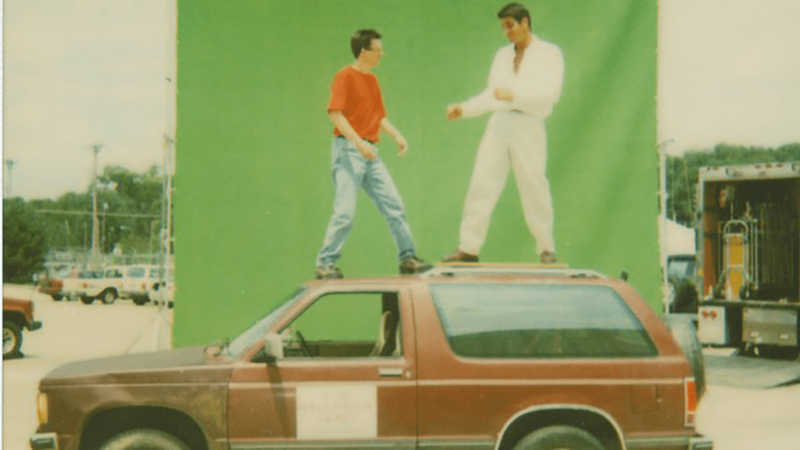 Before John G. McGrath was a multimedia producer at Kansas City PBS, he was a local filmmaker hoping that “Killing Michael Bay,” might one day show on a movie screen. His comedic short send-up of explosive action films was shown at the Tivoli 17 years ago during the Kansas City Filmmakers Jubilee. McGrath believes that he got that opportunity — to hear the crowd laugh and stand in the lobby after the show — because Harrington, the Tivoli’s owner, has famously put the spotlight on others. Tivoli Cinemas is where filmmakers learned about themselves and got to appreciate the work of others. McGrath remembers discovering during a question-and-answer session at the Tivoli, that a then-unknown Jason Sudeikis had a bit part in “Where’s Phil?” a short film McGrath made two decades ago. Woodring still fondly thinks about the University of Missouri-Kansas City film classes that she attended in the movie theater. For three years, she sat on the left side of the auditorium, immersed in classic foreign films. The Tivoli was a true community movie house. Kansas City PBS held screenings there — then called Community Cinema (the precursor to today’s Indie Lens Pop-Up). For many, the screenings of Oscar-nominated short films was a yearly rite of passage.